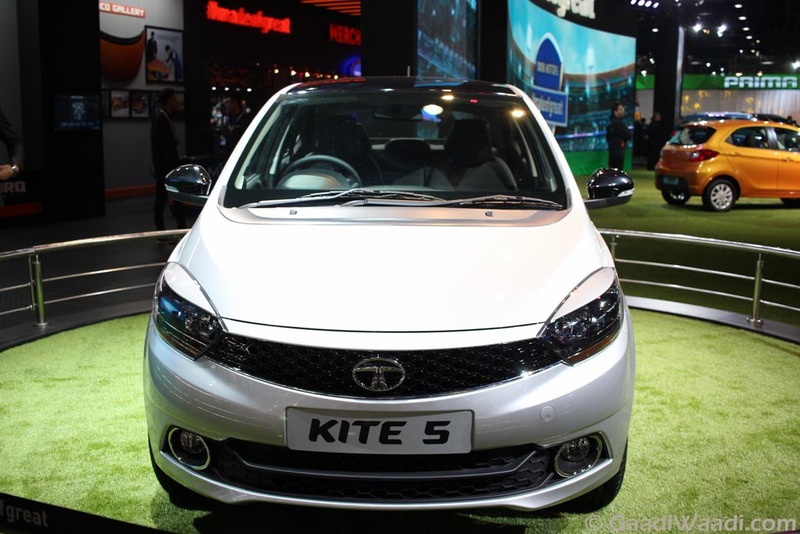 Tata Kite 5 has been one of the most anticipated car in Indian market. The upcoming compact sedan based on the Tiago hatchback is supposed to launch during upcoming festive season later this year. Tata Motors’ Sanand manufacturing plant is focusing on the compact sedan, which indicates the launch is imminent. Also the automaker will launch an AMT variant of the Tiago hatchback during the same time. 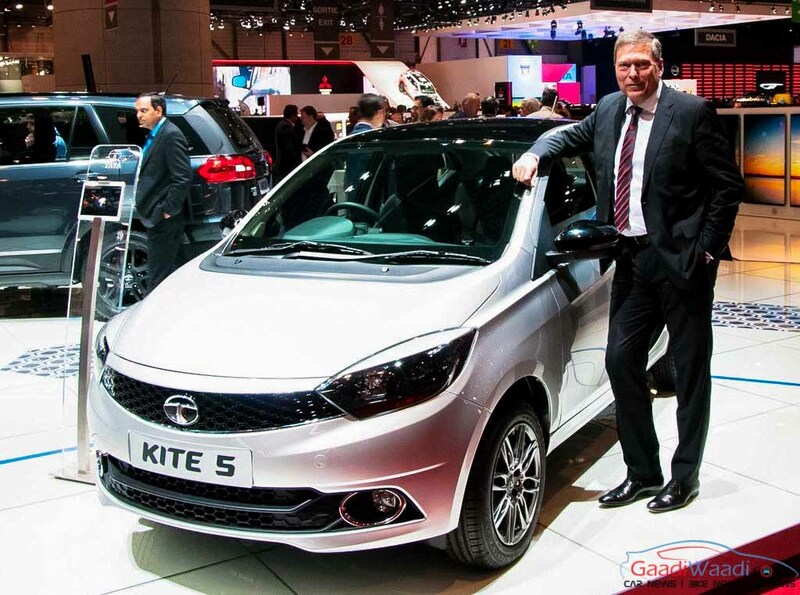 Tata Motors showcased the Kite 5 sedan at the 2016 New Delhi Auto Expo earlier this year in February. The car has been designed following the IMPACT design language. It shares the similar front fascia with the Tiago. The front gets sharp headlamps, piano black finished front grille with smiling pattern. The side profile gets sharp character lines, blackened glass area, while the rear sports a small boot, wrap around taillamps. The interior of the Tata Kite 5 sedan is also similar to its hatchback sibling. The car sports a multifunction steering wheel, dual analog dials and a TFT MID at the instrument cluster. The hexagonal centre console gets a piano black finish. The top end trim will get a touchscreen infotainment system developed by Harman. The car is believed to be spacious and offering 420 litre of class leading boot space. On the powertrain front both Tiago and Kite 5 shares same engine and transmission options. The petrol variant gets a 1.2 litre Revotron engine churning out 83 bhp of peak power and 114 Nm of peak torque. The diesel variant gets power from a 1.05 litre Revotorq engine kicking out 69 bhp of peak power and 140 Nm of peak torque. Both the cars get a 5 speed manual gearbox. Now with the Tiago set to get an AMT gearbox, the compact sedan would also get one. 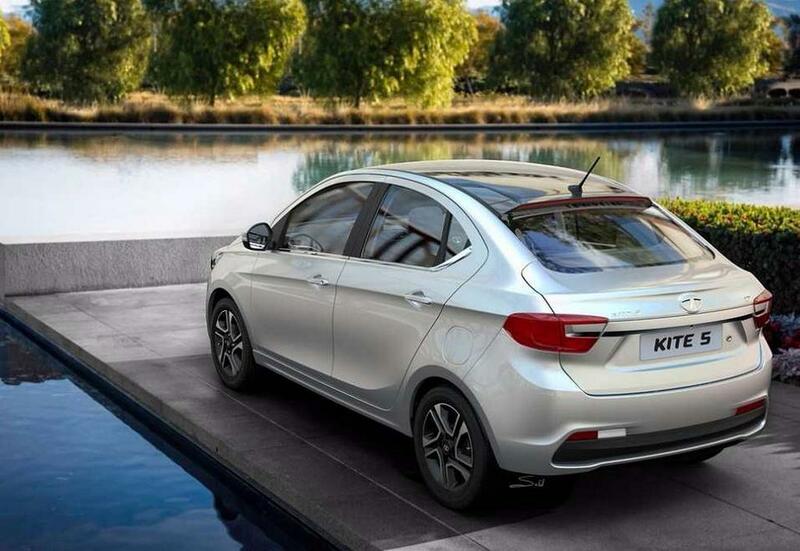 Tata Kite 5 is going to be the third compact sedan from the automaker. Also Tata Motors is set to introduce the Hexa which has been showcased at 2016 New Delhi Auto Expo.